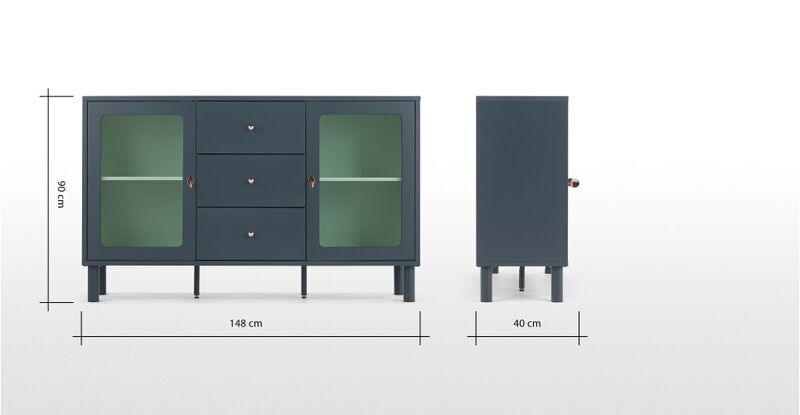 A great all-rounder, our Quin sideboard brings style and storage to any space whether you place it in the living room, kitchen or a hallway. Smooth clean corners and a matt finish keep this cabinet looking neat. But there are some sweet details, like that classic lock and key in copper, and the colour-pop interior. 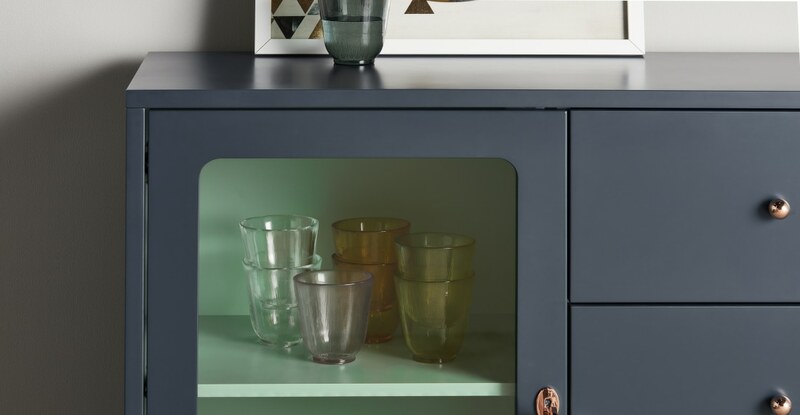 Our Quin sideboard features three roomy drawers plus two glass fronted cabinet spaces with internal shelves, so you can make a feature of your favourite possessions.